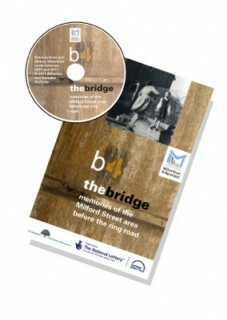 In 2011 we created a CD and accompanying booklet about life in the Milford Street area before the ring road. The CD contains 71 clips from oral history interviews with local people, and the booklet contains lots of interesting information and photographs. The CD has been given away free of charge to anyone interested in the project. It is a fascinating listen! We still have some copies of the CD left, although they are disappearing fast! If you would like a copy please send a self addressed envelope (A5 size) with postage of £1.24 to: Milford Street Bridge Project, 1 Queens Road, Salisbury, SP1 3AG. Although the CD is free, any contributions towards the project would be welcomed as that will help us to keep the website running.